Thanks – this is a typo. It should have been 8087. There are cables to be had. In the UK they can be hard-to-find at cheapskate prices. Hi, I bought some time ago the same System from eBay (FS12-NV7) with the idea of removing the opteron system and putting a new one. And I know the backplane is working because the perc 6 is detecting them, but I can’t manage to change the backplane mode to HBA. You may have a different backplane to any I’ve seen. However, I’m a bit worried about you using the motherboard. Sanity check – you’re are using a SAS HBA and not motherboard SATA? Which HBA do you have? The PERC6 controllers have a 32-pin multilane SAS output. Presumably the HBA has a SAS 36-pin multilane (ALK SFF-8087 AKA internal Mini SAS 4i), so you have acquired a cable with a SFF-8087 on one end and a SFF-8484 on the other. How is it this cable wired, because it can be one of two ways. The straight-through version (common) is for connecting a HBA with the old plug to a backplane with the new plug. You probably need a crossover version. 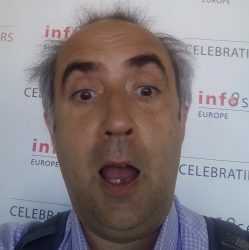 Next PostNext What’s the point of Docker on FreeBSD or Solaris?